Jamie Oliver does social media well. From Food Tube to Google Plus, daily recipes on his Facebook page, live tweeting trips to the USA to promote Food Revolution or openings of new restaurants in the UK and incredible Instagram photos, he is definitely one interesting chef to follow. 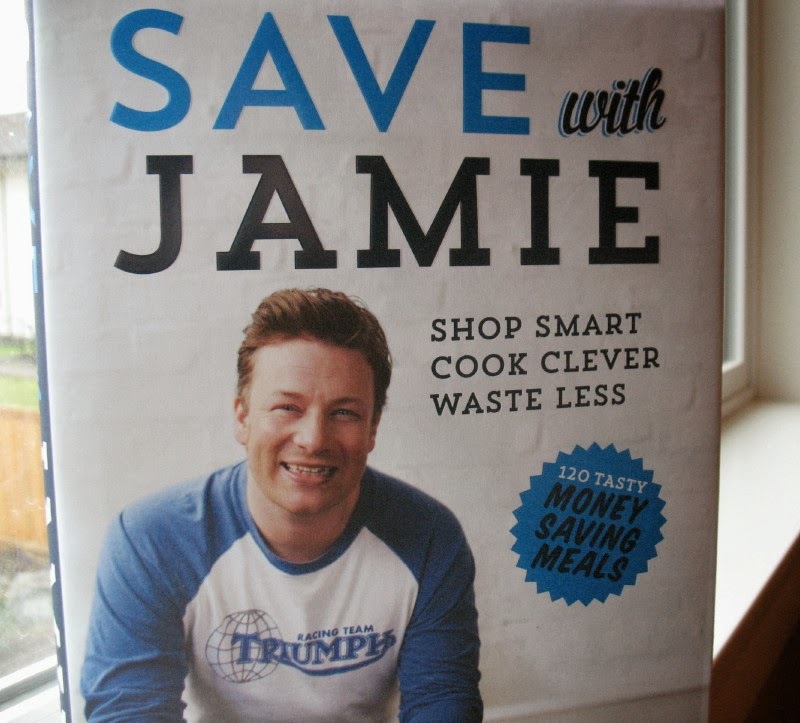 Save With Jamie was available in Canada at the same time Food Network Canada began airing episodes of the TV program of the same name, much to my delight. Jamie’s latest offering is extremely useful both in the mostly easy and yet creative recipes, but also ones that are relatively inexpensive to make or easy to stretch. There are the usual sections devoted to chicken, beef, fish, lamb and a great vegetarian section, but I think the real gems are in the bits of advice peppered throughout the book on how to stretch things such as veg, chilies, how to joint a chicken, what to do with leftovers, and what to look for in a butcher or fishmonger. For those wanting to cook more from scratch but aren't sure where to start, this book hits all the bases. In fact, I'd say that this book is even better than Food Revolution, if I had to choose. The real gold in this book, however, are in the bonus recipes at the back. Eight quick, no brainer recipes that serve one or two seem like something you wouldn’t need to put in a cookbook but the ideas are brilliant. Meaty, buttery, herby mushrooms on toast? Yes, please. I've made these twice, even adding things like fresh parsley, bacon, and fresh cracked pepper. My family immediately wolfed them down, licked their fingers, and asked for more. I also love how throughout the book there’s so much variety in flavours. Whether it’s Asian, Italian, or Indian, there are so many choices here you’ll never be bored. Overall, so far I have really loved this book. There’s a lot here for both novice cooks and more experienced, with lots of great flavors and healthy dishes you can make on a weeknight for your family. I can’t wait to dive back in and find more to make-and really, that’s the whole point, isn’t it? You want a book that will be interesting and useful, which will inspire you to hit the kitchen and cook. Without question, Save With Jamie delivers exactly that.